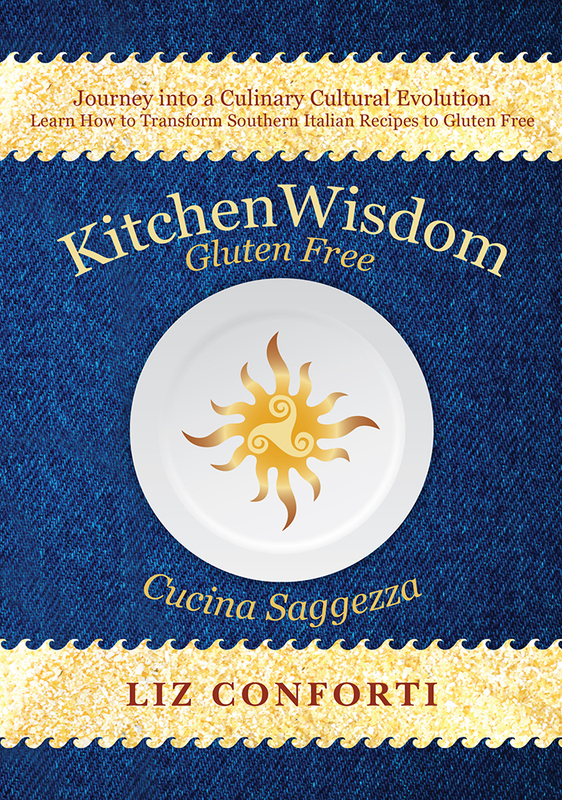 Kitchen Wisdom Gluten Free Maple Snow Drop Biscotti are a fusion of a traditional Southern Italian cookie sweetened with American sugar, Vermont Pure Maple Syrup. Maple is central to the people and culture of Vermont, and Sugar Makers dedicate their lives to caring for Maple forests so that we may all have this naturally gluten free sweet gift from Mother Nature. 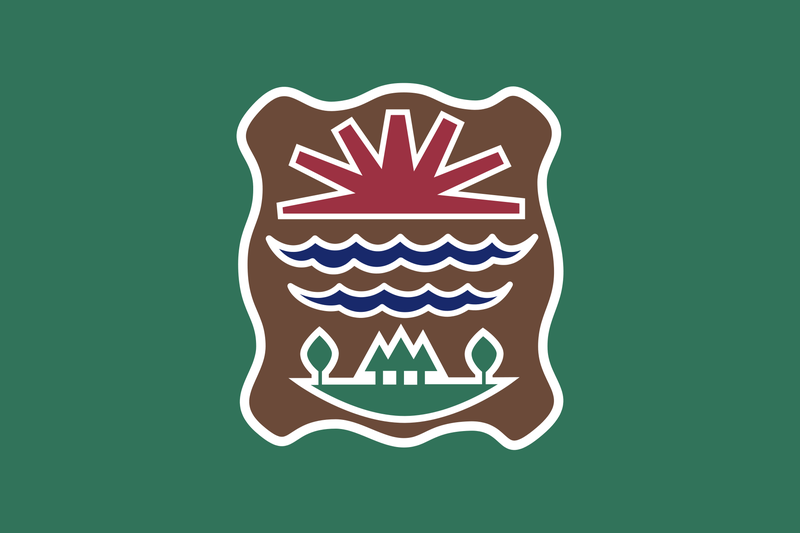 A traditional nutritious carbohydrate, Maple syrup has excellent storage ability and was traditionally harvested by indigenous folks of New England and other areas where Maple trees grow. Maple Syrup was the sugar of the Colonists and was not a critical export during the colonial era as Europeans of the time used cane sugar. Interestingly, Europeans often referred to Maple Syrup as “Indian Molasses” or “Indian Sugar.” Vermont Pure Maple Syrup is still the staple household sugar for most Vermonters and it is the inspiration for this modern twist on a classic biscotti. 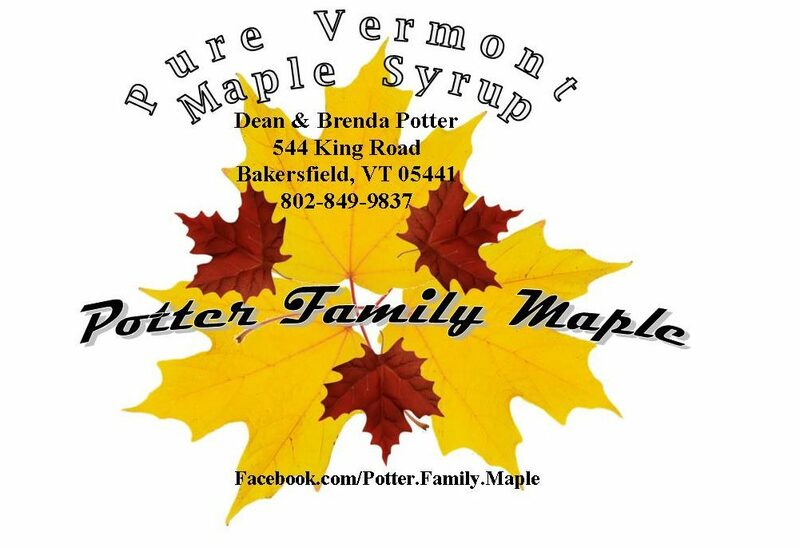 Learn more about Maple Sugaring in the Kitchen Wisdom Gluten Free interview with Sugar Maker Brenda Potter of Potter Family Maple in Bakersfield, Vt.
Retrieve the eggs and the maple syrup for the recipe to place them to the side and allow them to become room temperature. Preheat oven to 350 degrees and butter a cookie sheet. 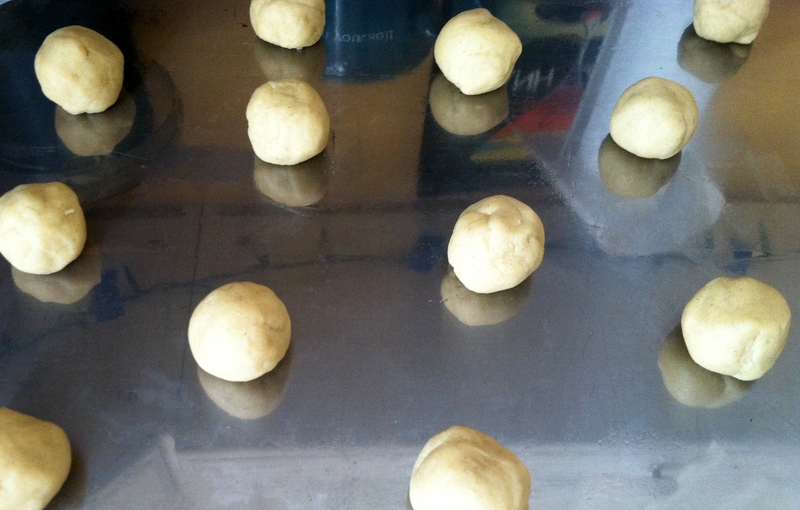 Place wax paper on a counter or a tabletop to prepare for icing the cookies. In the bowl of a mixer, whisk together all of the dry ingredients: sorghum, potato flour, white rice flour, potato starch, baking soda, baking powder, guar gum, salt. Beat eggs in a small bowl and leave aside. 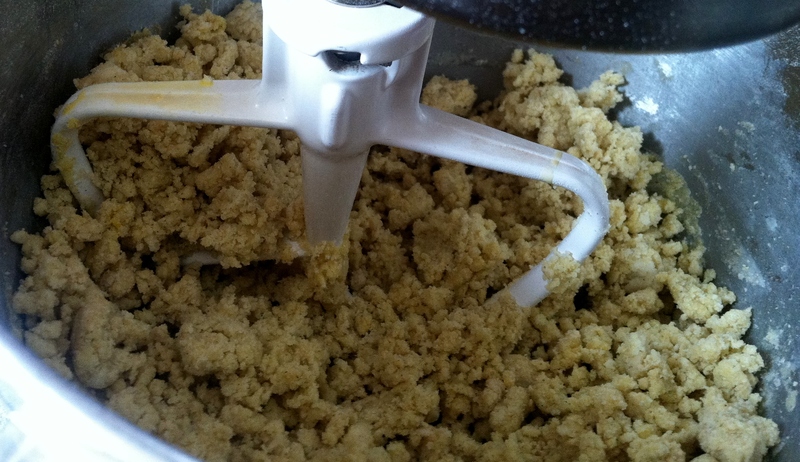 Cube cold butter and add them to the flour in three batches, mix until the flour becomes coarse crumbs. 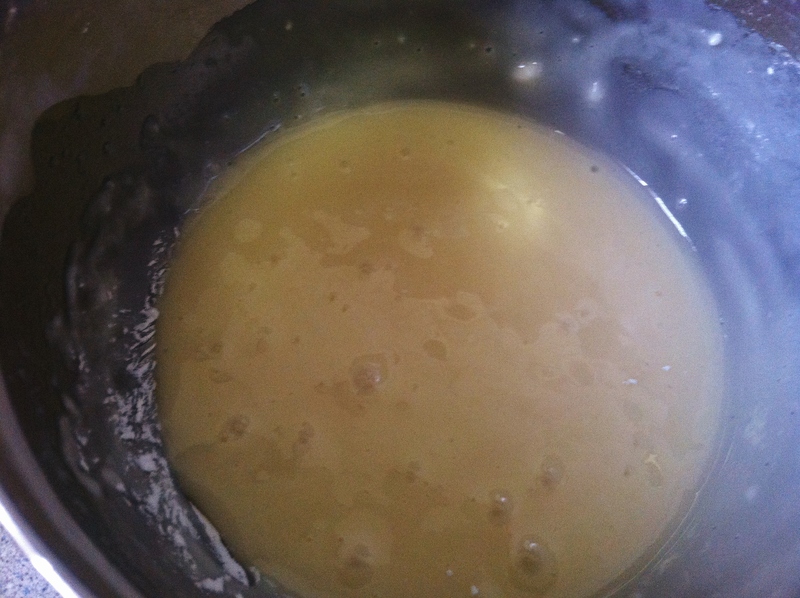 Mix in the beaten egg in two batches until completely combined. 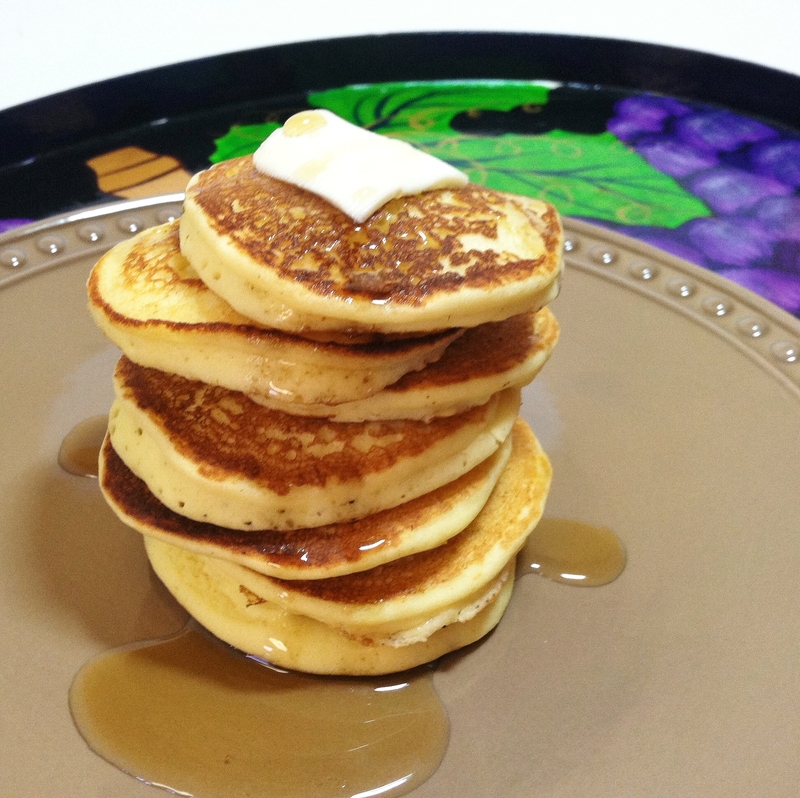 Gradually pour 2/3 cup of maple syrup into the batter on a slow mix. The batter will be soft and easy to manage with your hands (If the batter is too wet sprinkle in a scant amount of white rice flour). Pluck one inch clumps and roll in your palms to make a ball. Place balls 1 ½ inch apart. Bake for 12 minutes. Leave on cookie sheet for one minute and then place cookies on cooling racks. Allow them to completely cool before icing. 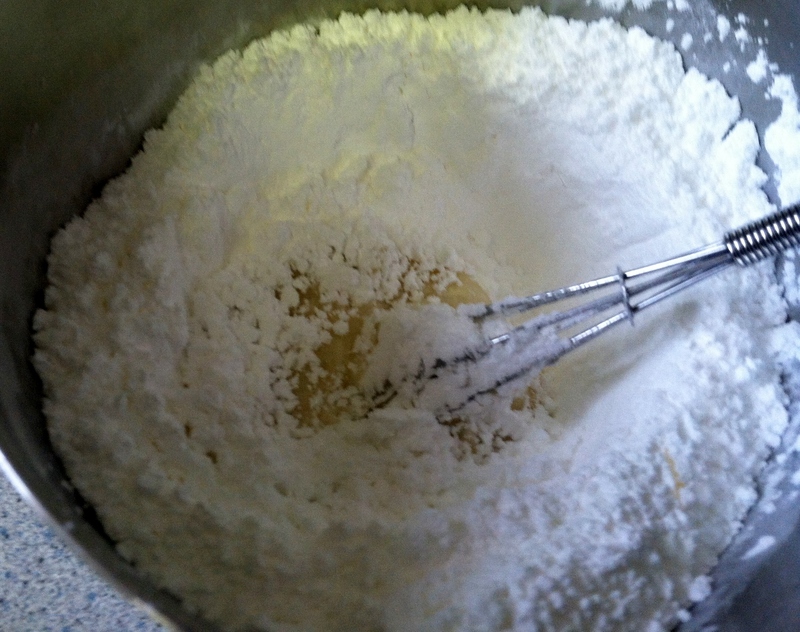 Make the Maple Icing: Place 1 1/3 cup of powdered sugar into a deep small bowl. Whisk two teaspoons of maple syrup into 6 teaspoons of milk. Whisk the maple milk into the powdered sugar, if the icing still needs to be a bit thinner whisk in up to two teaspoons of milk. The icing should not be excessively runny. If it is, add more powdered sugar to thicken. Ice the Biscotti: Place the cookies with the cooling rack on the wax paper. A gently twist of the wrist is key. Gently hold the cookie between the tips of two fingers; gently twist your wrist and lower cookie into the icing, twist up to release extra icing and place the cookie with the iced side up on the cooling rack above the wax paper. 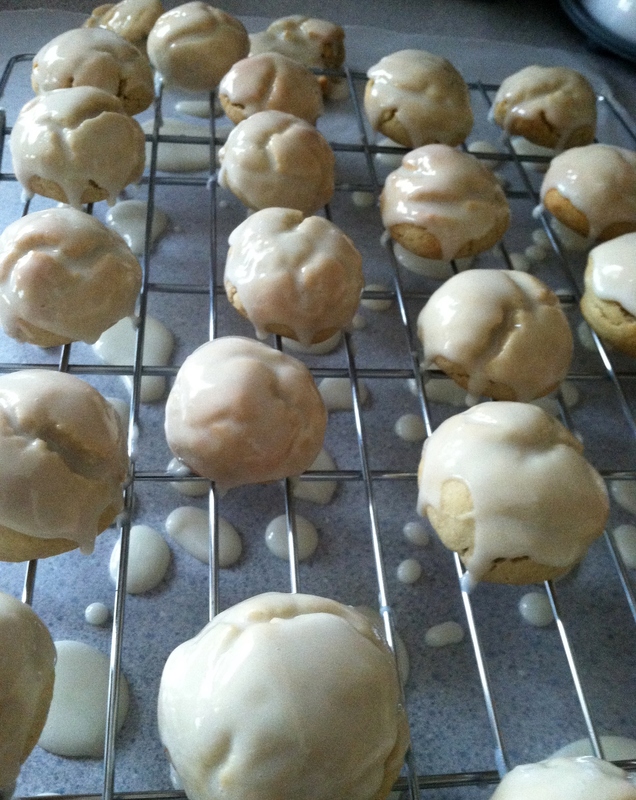 Allow the icing to dry before placing in storage containers. Store in a wax paper lined bakery box or cookie tin. This entry was posted on April 24, 2015 by kitchenwisdom2013 in Biscotti, Biscotti senza glutine, Buy Local, buy local vermont, celiac disease, celiac recipe, forget what you know about wheat, gf baking, gf desert recipe, GF Ingredient, gf maple syrup cookie recipe, GF Recipe, gluten free baking, gluten free flours, gluten free ingredients, italian gluten free biscotti cookie recipe, kitchen wisdom gluten free, NCGS, non celiac gluten sensitivity and tagged biscotti, cookies, dessert, made, maple, potato flour, potato starch, pure, snow drop, sorghum flour, syrup, vermont, VT, white rice flour.